Off spin (or for left-handed bowlers – left arm orthodox) is a form of spin bowling that mostly uses the fingers to spin the ball. Whenever bowling spin the aim is to get the ball to spin as quickly as possible in the air. 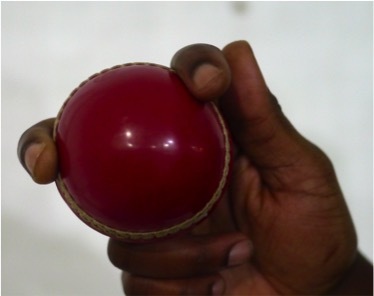 Off spin uses two fingers to grip the ball. is moving towards the first finger and snap the first finger towards the second finger. Begin by facing your partner and throwing the ball overarm with one bounce, trying to get the ball to spin as quickly as possible out of the hand. Stand sideways on to your partner as if in the bowling base, throw the ball overarm from head-height, again trying to get the ball to spin quickly. 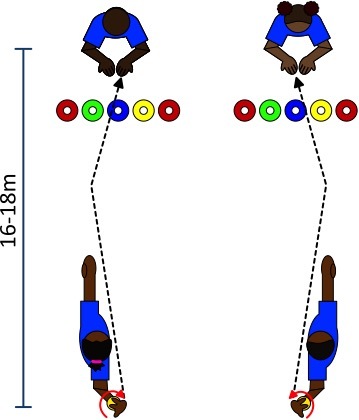 Bowl from the base position to your partner, releasing the ball from as high as possible with a straight arm and pivoting on a straight front leg, spinning the ball sharply on release. When initially learning how to spin the ball, we test how much players can turn the ball when throwing it. Lay a series of cones or other markers along the ground. Players test themselves by trying to bounce the ball one side of the markers and getting the ball to turn over the most markers possible. 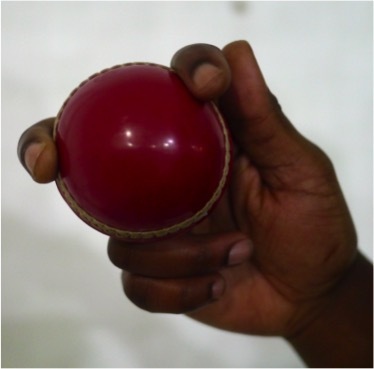 Once players have learnt to bowl the ball the same test can be introduced over a bowling distance of 16-18 metres, as well as adding stumps that the bowler might also aim to hit. Spin bowlers should always be encouraged to focus on trying to get the ball to turn as much as possible first, before working on accuracy. ABSTAIN from bending the arm if testing how much players can spin the ball while bowling.